On the 7th of December happy golfers consisting of FBC members and friends gathered at the Els club in Dubai to compete for the title of FBC golf champion of 2018. The lucky winner in the stroke play category was Jari Ruuska with a score of 78 strokes. In the stableford category Tero Kilpelä had the best result with 40 points. 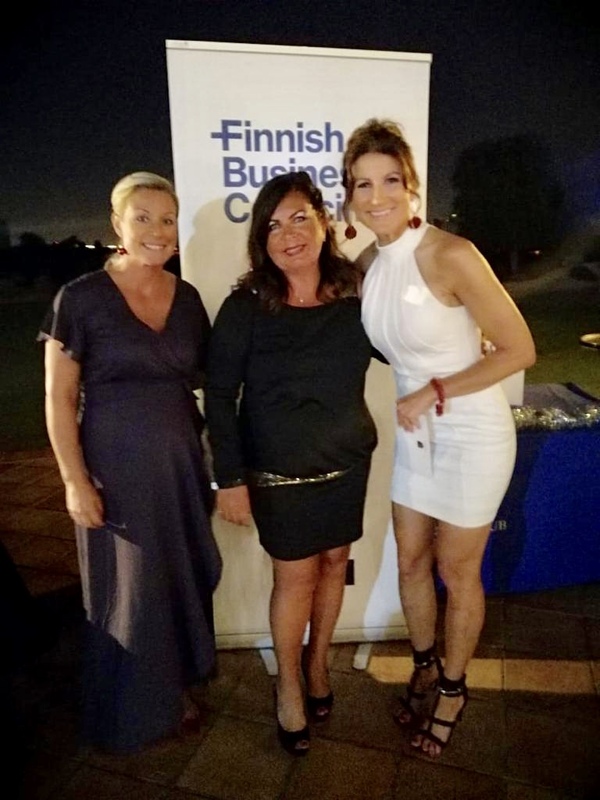 Anne Sahlström won the longest drive for women and Jari Puurtinen won both longest drive in the men’s category, as well as closest to pin. The team competition was won by Jari Puurtinen, Arno Pelkonen, Pentti Korjonen and Tero Kilpelä. In addition, to honor Finland’s centenary, last year we created a new category symbolized in a blue and white lion head-cover that was passed on to the next deserving golfer, who demonstrated relentless, un-waivered go get –spirit and sisu despite many obstacles on the way, as did Finland a hundred years ago. Peter Söderman and Tuula Fellman are proud winners of the Sisu – Suomi 100 -trophy. The prize ceremony was held at the FBC Christmas party which took place following the golf tournament at the Els club. Congratulations to all the winners and many thanks to the ELS club for supporting the event and prizes such as golf and f&b vouchers. Dressed in blue and white the competitors ready to hit the greens!